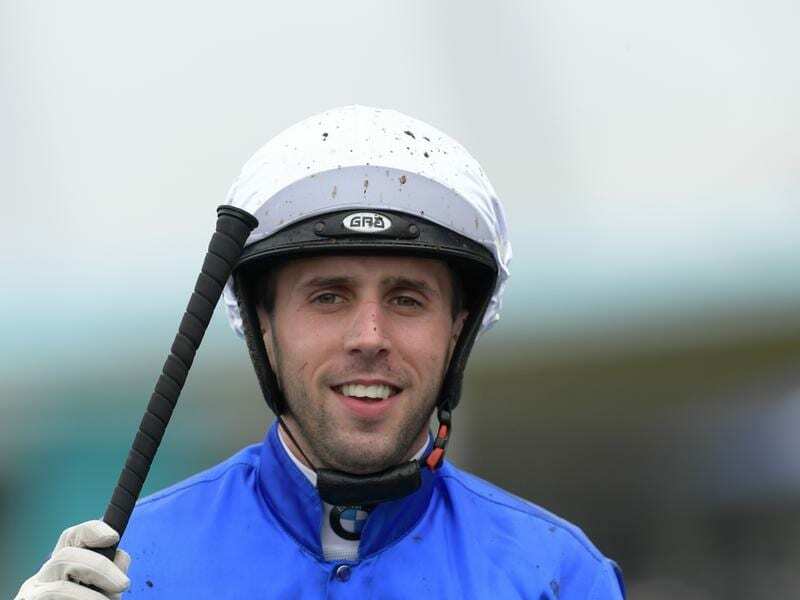 Jockey Brenton Avdulla has ridden Godolphin filly Amercement to victory in the Widden Stakes. Brenton Avdulla already has a Golden Slipper trophy and has tested one of his prospects for a second, Godolphin filly Amercement, winner of the Widden Stakes. A little battered and bruised after 2018 Slipper winner Estijaab tossed him in a barrier trial early in the week, Avdulla had to use his strength to get Amercement home in a tight finish to Saturday’s 1100m-Group Three race. Powering home from the back of the field, Amercement ($5) got the nod over Rotator ($18) by a half head with Blazing Miss ($8) another half neck third. “I’ve got a huge bruise on my thigh and also hurt my ribs,” Avdulla said. Amercement firmed from $51 to $26 for the $3.5 million Golden Slipper after her win with her stablemate Tassort the $4.50 favourite. Overreach (2013) and Mossfun (2014) are the last two fillies to go on to win the Slipper after claiming the Widden.